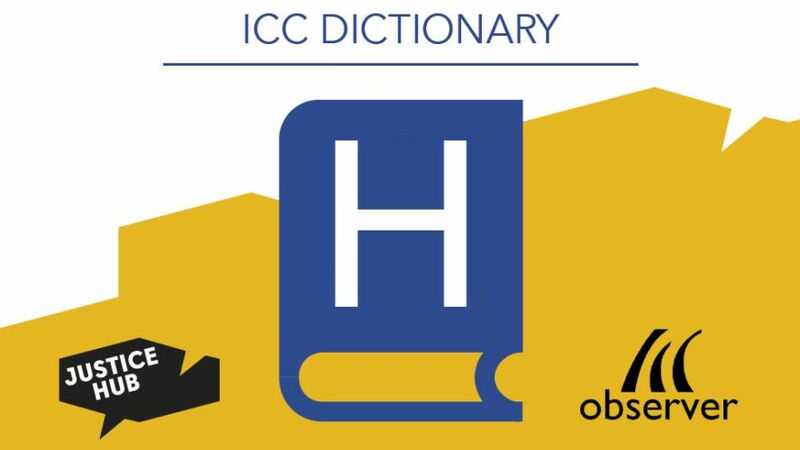 In the Headquarters Agreement, the ICC regulates its relationship with the Netherlands as a host state. The agreement entails issues like protecting the court building, immunities for the persons working with the ICC as well as questions concerning the detention of accused persons. The agreement entered into force in 2008 and replaced an interim headquarters agreement. Any evidence, including hearsay, can be used at the trial as long as it fulfills the requirements for the admissibility of evidence. For the admission of hearsay evidence, slightly different criteria apply: it has to be relevant, reliable and with a probative value. Usually a person would be required to take the stand. However, hearsay can support an argument if the particular person is not available. Though, a conviction cannot be based on hearsay. The abbreviation HNE means “hearing not evidence” and is used to indicate that a document or material, other than evidence, was submitted by participants during a hearing. The Chamber can order their registration in the case record. Have a look at the other letters: A, B, C, D, E, F, G, I, J, L, M, N, O, P, R, S, T, V, W and the Numbers 1-10.